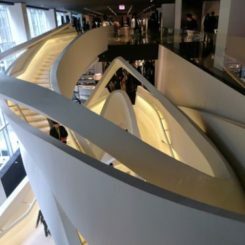 As we’ve mentioned on numerous occasions, the staircase, regardless of its design or style, is a very important element in a building’s architecture, structure and design. The staircase has changes dramatically as time passed. 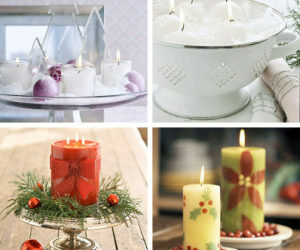 Designers always try to come up with new ideas and influences. Sometimes they think out of the box by using or combining unusual materials, other times they create new shapes and forms. Each staircase is unique and there are lots of options to explore. 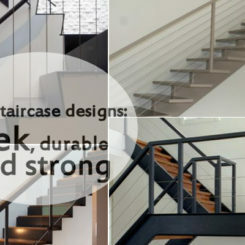 There are stairs with unique shapes, stairs shaped like DNA, staircases made of glass, monstrous staircases on large scales, staircases made of steel, of wood, of concrete, of marble, staircases with slides or staircases with built-in storage. Each type, model and style has its own unique characteristics. 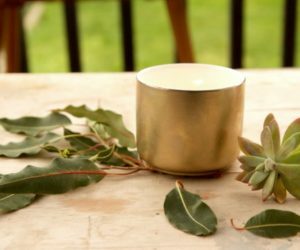 They impress in their own way and they represent spectacular focal points. It’s easy to see why these are called DNA staircases. Their shape is very suggestive and it’s been inspired by the double helix shape of the molecules. 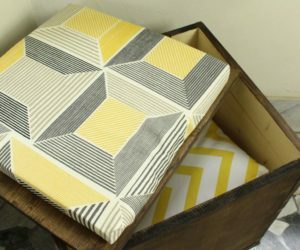 This shape can be adapted to designs featuring all sorts of materials. 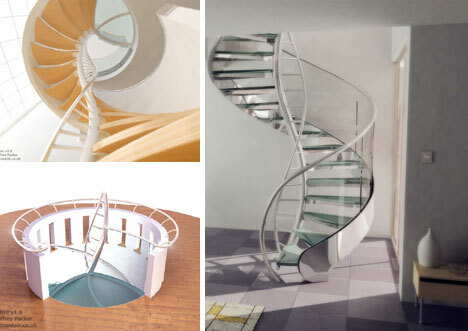 There are wooden DNA staircases as well as staircases made of glass, metal or combinations of several materials. 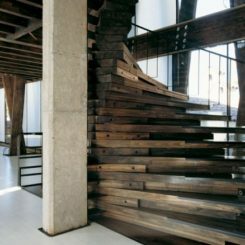 The main idea behind a deconstructable staircase is that is doesn’t need to be demolished if one decided to replace it. 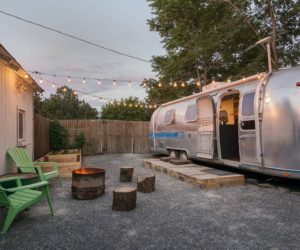 It can simply be taken apart, piece by piece and then it can also be put back together at a different location. 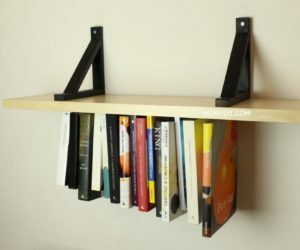 The idea is clever and was created by architect Alberto Mozo. 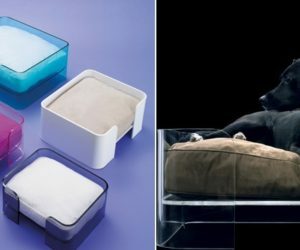 Since glass is a transparent material and it already feels light and delicate, creating a seemingly floating staircase made of glass is actually quite easy. 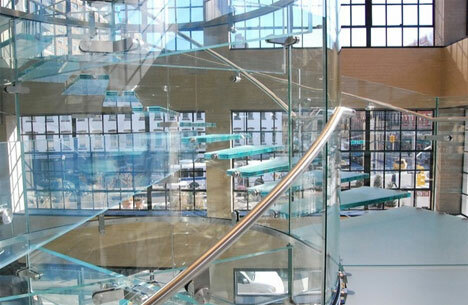 Even though it seems light, fragile and unable to support much weight, a glass staircase is in fact very durable and strong. It is also very safe even though the feeling you get when you look down through the transparent stairs is not exactly reassuring. 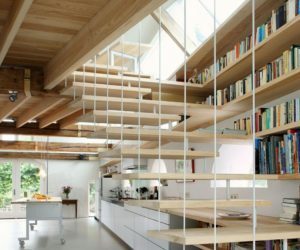 Some staircases don’t impress with their design or shape but with their size. A perfect example for that would be this imposing staircase. 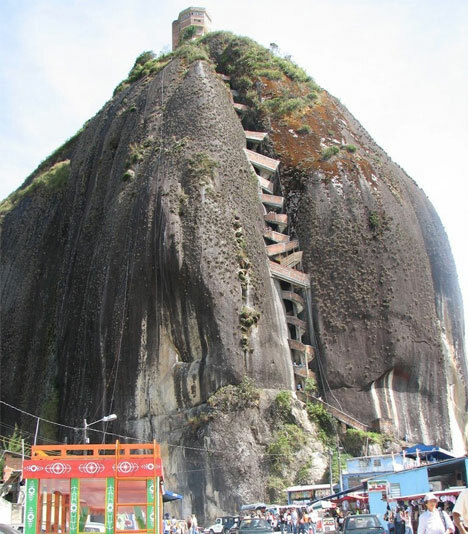 It is embedded in stone and can be found in Piedra de Peñol in Medellín, Colombia. Getting to the top is definitely not easy and there are lots of stairs to climb but the views available from there are something to look forward to and they will make all the effort fade away. Of course, if you want to skip that part you can use the elevator. Staircases were invented out of need. 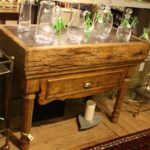 At first they were a purely functional creation but with time the designs changed and form became more and more important. This progress has led to the concept of the staircase as art. 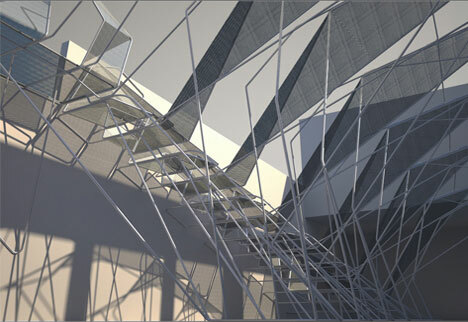 A perfect example would the staircase from the SCI-Arc Gallery from Los Angeles. 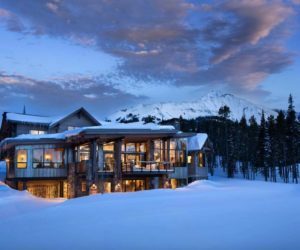 It was designed by Dwayne Oyler and Kelly Wu in collaboration with the engineering firm Buro Happold and it’s truly spectacular. 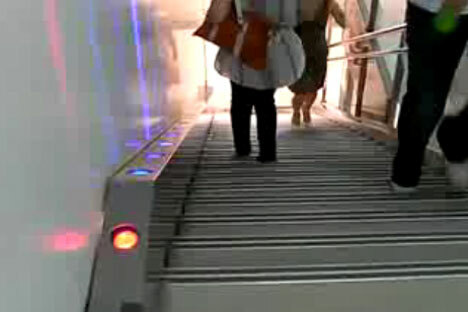 The musical stairs are a more modern creation. They’re another concept that invites us to look at this magnificent element as art and to accept its amazing beauty. 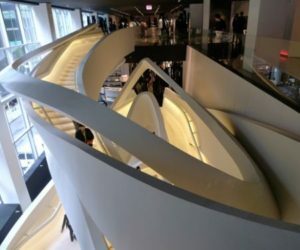 The musical staircase can be found in the Sony Building from Tokyo. Each step plays a different note and, as you touch them, music is created. Some homes have very limited space so hallways become narrow and tight. But this doesn’t mean that staircases can’t be built there. In fact, the Swedish Architects of TAF Architect Office have found the perfect solution: a staircase designed for narrow spaces. 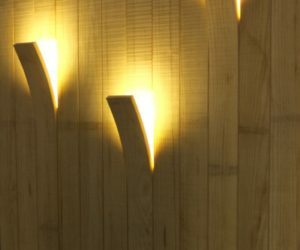 The stairs are made of wood and are arranged in a V-shape. 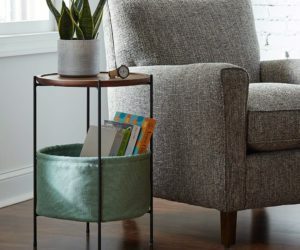 This way they allow you to comfortably use them while occupying very little space. 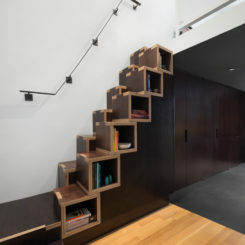 An idea also designed for small spaces or for those that simply wish to take advantage of all the space available is the staircase that also serves as a bookcase. 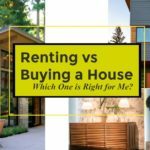 There are several options in this case. 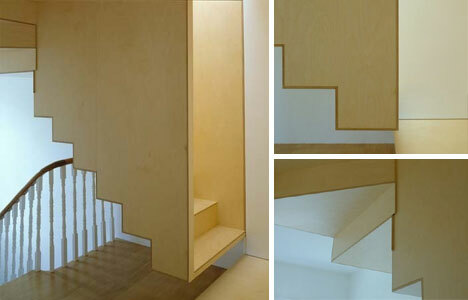 You can either use the staircase wall as a bookcase or the actual stairs as storage compartments. 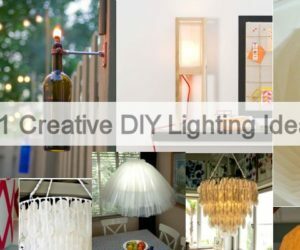 You can adapt the design and come up with the idea that better suits your space. 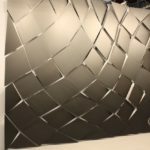 Just like glass is a strong material that seems delicate and fragile, steel is a very strong material that is actually very versatile and easy to model. 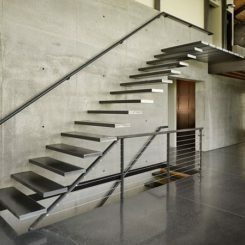 Steel staircases don’t necessarily have to look rigid. They can have organic forms and designs that will make you think twice about judging something by appearances. This staircase was designed by architect Thomas Heatherwick and it’s made of continuous strips of hot-rolled steel with undulating lines. 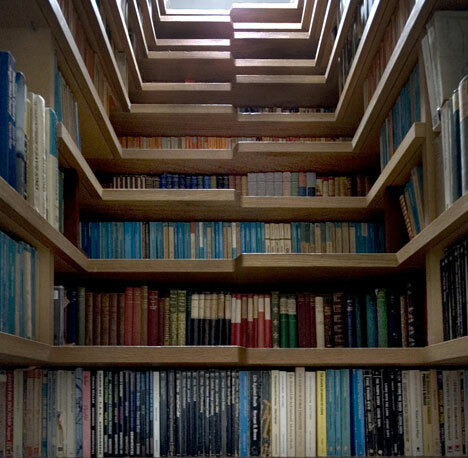 Since we’ve already discussed staircases as bookcase replacements, maybe it would also be interesting to envision them as clever additional storage spaces for more than books. 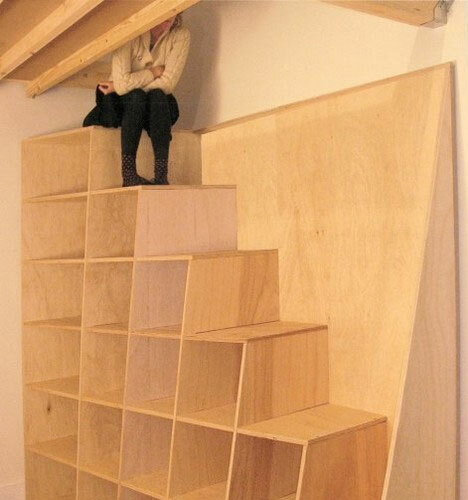 Think of each stair as a potential storage compartment that you can use to either display or store all sorts of items. 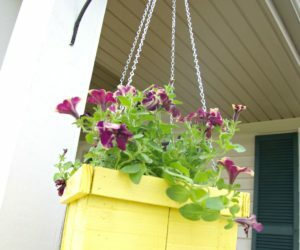 It’s a great idea for small spaces. 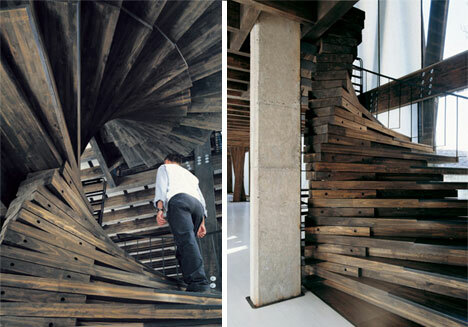 This is a more unusual type of staircase. It’s like a box hanging above floor level. 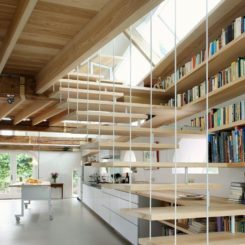 The staircase was designed by architect Blencowe-Levine and can be found in the Battersea area of London. 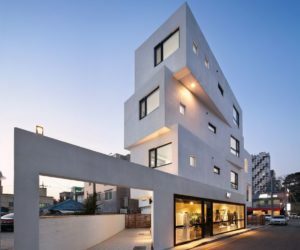 It definitely has a sculptural look. The concept is simple as well as innovative and original. 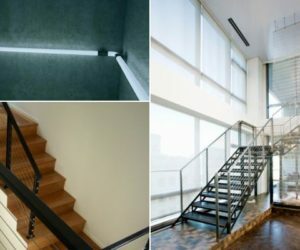 Floating staircases usually seem to focus more on looks and design and the issue of safety comes on second place. Still, it’s not a problem for staircases that have guardrails or at least a handrail. But some designs just seem dangerously simple. 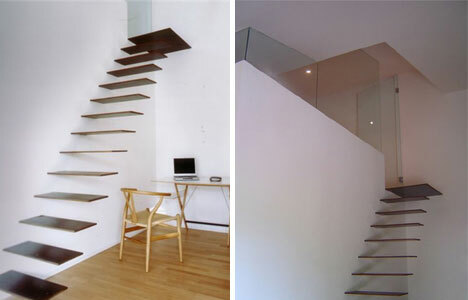 This minimalist staircase was designed by Jordi Vayreda. 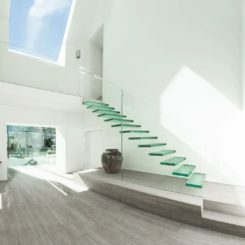 The stairs are made of steel and the main idea was to maintain a minimalist and transparent look. 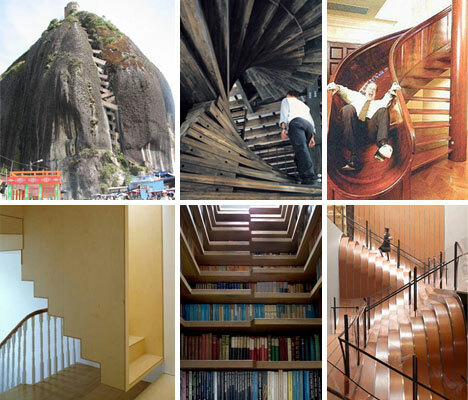 A staircase’s design can be inspired by just about anything. 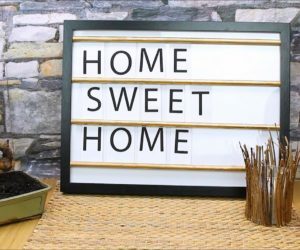 Once you pick a theme, all you have to do is figure out the best way to integrate it into your design. 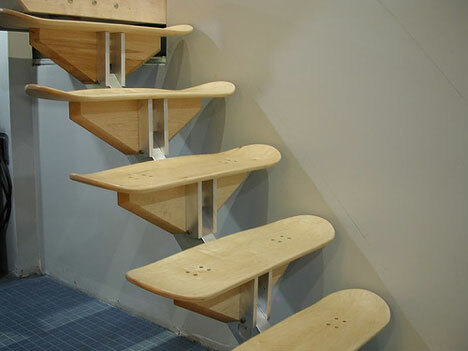 For this staircase, the inspiration came from skateboards. 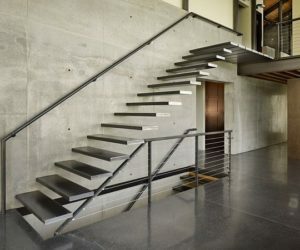 Each stair is shapes like a skateboard and they are all attached to a solid aluminum beam. 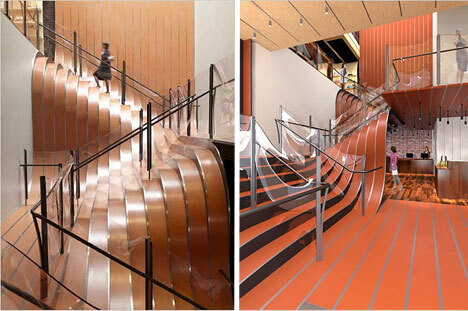 If you want to add a cheerful and fun touch to your staircase’s design, maybe a slide would be a good idea. 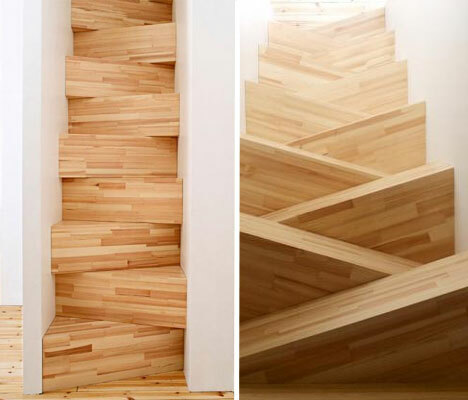 This staircase features two possibilities in which you can use it. 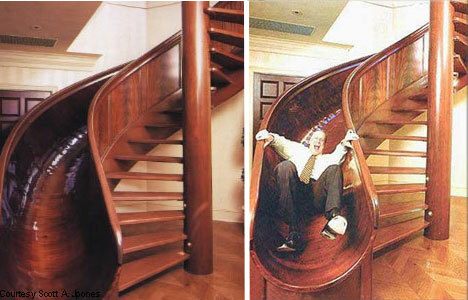 You can either use the stairs or the slide. The designer behind this creation was Rodney Miller. All these modern creations and concepts are very interesting. But let’s remember the reason why the staircase was invented in the first place. It was a functional creation and we can still see this in some areas where ancient staircases have been preserved. 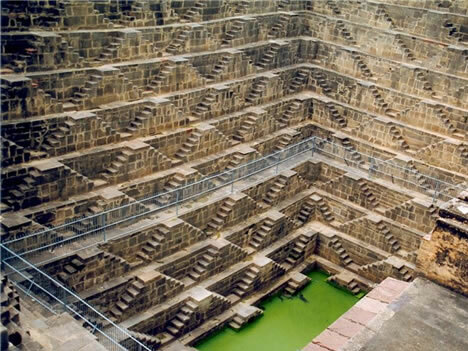 This is Chand Baori from India. These stairs were built in the 10th century and the purpose of that was to solve the water-related problems in the area. There’s a total of 3500 narrow steps that have been preserved until today.